Two keen gardeners have hit upon a novel solution for publicising Open Gardens events - a website dedicated to town and village Open Gardens. 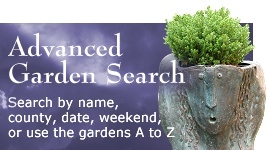 Run by volunteers, free from complex advertising, simple to use and with a clever search facility, the site allows people to find out about Open Gardens events in your local area or indeed at the other end of the country. 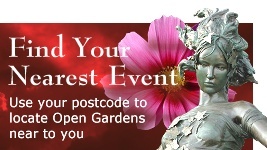 The website supports the smaller event organisers, those volunteers who bring together gardeners and gardens, plant enthusiasts and hobbyists, Hosta lovers and Pelargonium fanciers - the melting pot of Middle England that is Open Gardens. 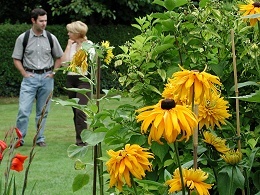 For the humble town or village Open Gardens organiser, the site offers a real opportunity to get much needed publicity. Contributing information is also very simple - fill in you event details, press a button and your event is there for all to see. 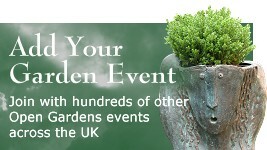 For people who enjoy visiting open gardens, the site gives full details of events happening in your area.